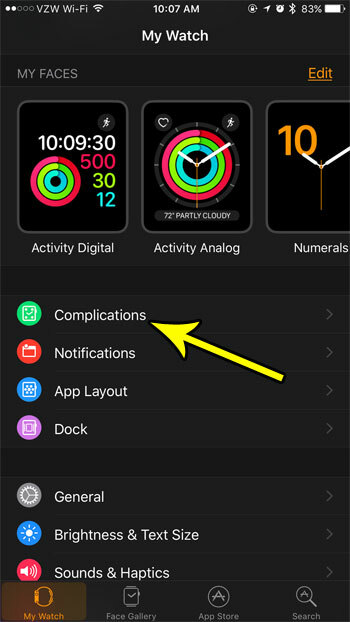 Complications are a great way to add some app functionality to your Apple Watch. Not every app has a complication, but you may find that there are some that are very helpful for the way that you use your iPhone and your Apple watch. But there may be complications that you don’t want or need, which can leave you looking for a way to remove them. 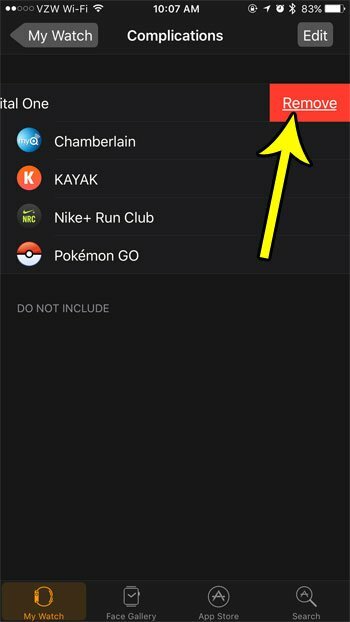 Our guide below will show you how to remove unwanted complications through the Watch app on your iPhone. The steps in this article were performed using the Watch app on the iPhone. I am using an iPhone 7 Plus running iOS 10.3.3. for this guide. The watch being modified is an Apple Watch 2 using WatchOS 3.2.3. 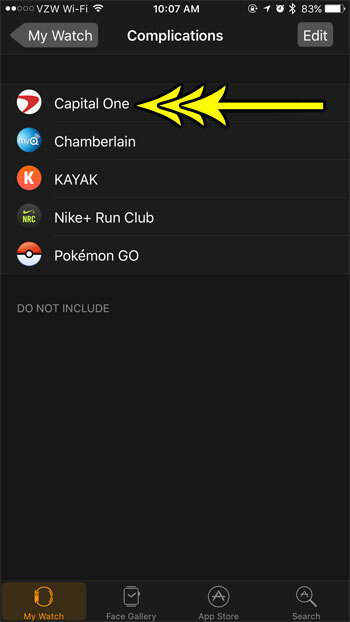 These same steps should work for most other combinations of iPhones, watches, or operating system versions. Step 3: Select the Complications option from the menu. Step 4: Swipe left on the complication that you would like to remove. Alternatively you can tap the Edit button, then the red circle to the left of the complication. Step 5: Tap the Remove button to delete the complication. Note that the complication will then be listed at the bottom of the screen if you decide later that you would like to re-enable it. Would you like to be able to take and share screenshots of your Apple Watch? 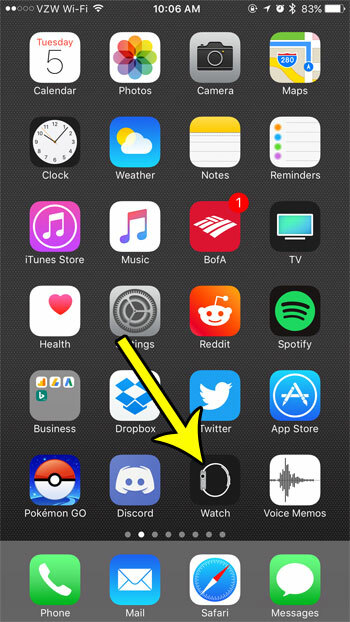 Learn how to enable Watch screenshots and start saving them directly to your iPhone.